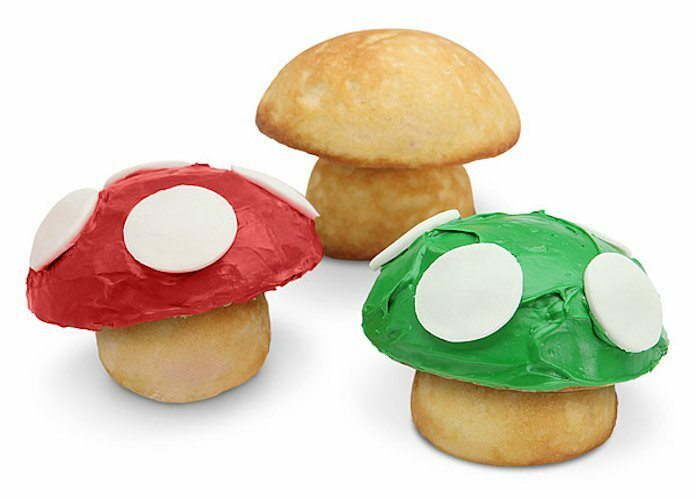 Bake delicious cupcakes shaped as mushrooms. 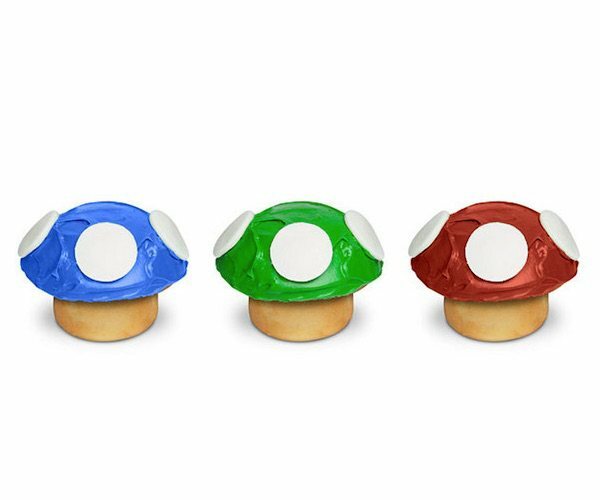 By using the 1-Up Mushroom Cupcake Pan, you can prepare up to 8 tasty cupcakes at once. 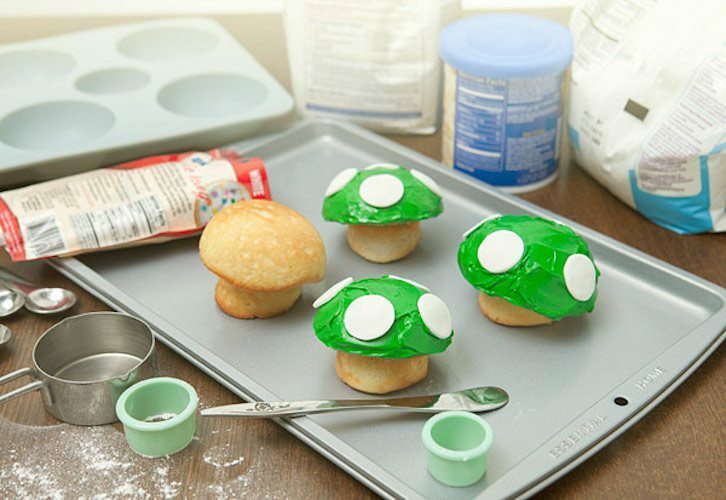 The mold can work with all standard baked goods mixes as well as recipes. 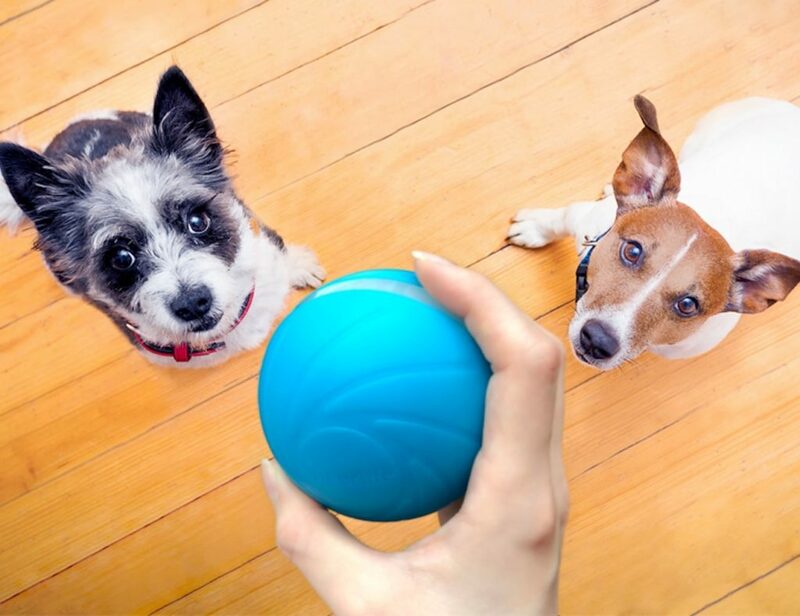 The large cavity can hold up to ½ of batter and the small cavity can hold up to ¼ cup of batter. 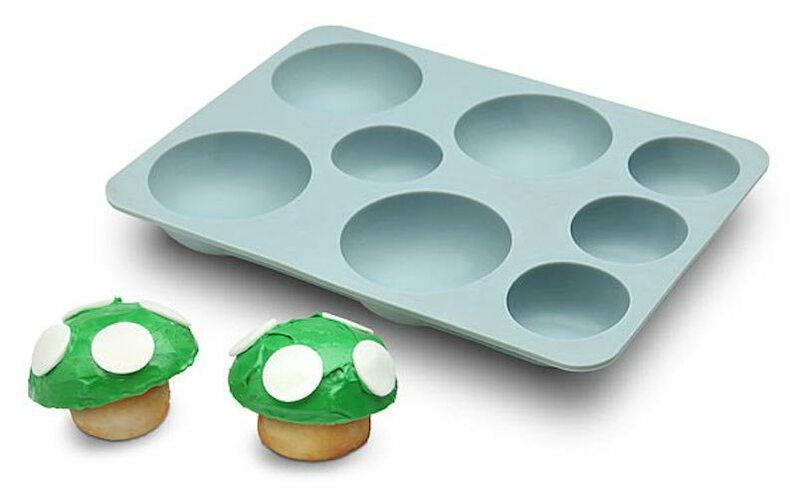 Made out of food-grade silicone, this cupcake pan is ideal for those who want to add some fun to their indoor baking times. Long live cupcakes! Nom nom!